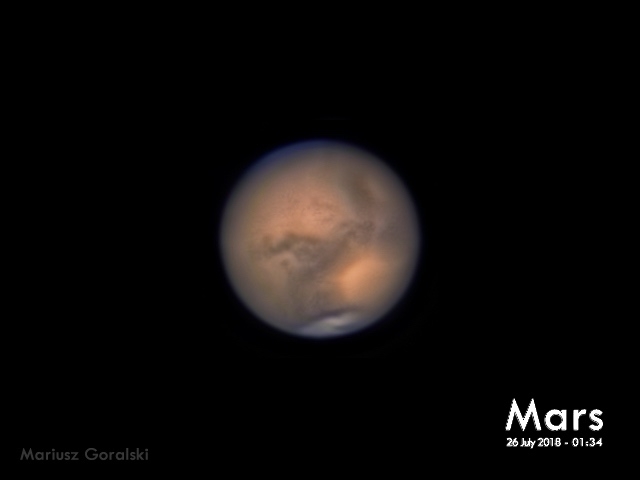 Mars with Hellas Planitia and Syrtis Major visible. Looks like the Dust storm, which was persisting on Mars for the last few months is starting to die down, revealing more detail than only a couple of weeks ago. Fantastic shot, We have been clouded out the last few nights but I live in hope.